Stuffed Zucchini, with or without rice, has always been a staple in our house. 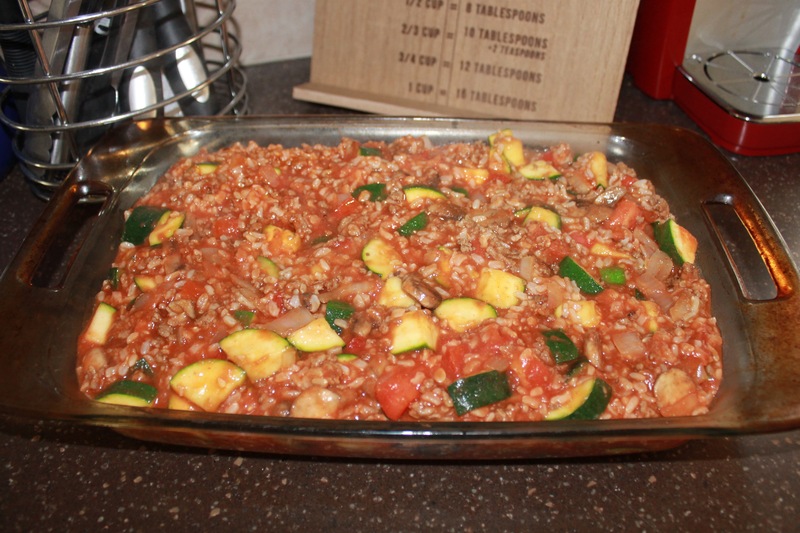 It’s easy, fairly inexpensive but a nice veggie heavy meal since I add tomatoes and mushrooms on top of the zucchini. It’s kind of a pain in the behind to make though – or at least for me to make and have it taste good. Cutting zucchini, scooping out the insides, baking it, making the stuffing, baking it again. Plus making the rice if I’m adding it to the stuffing mix. It was on our menu one day earlier this summer and when the day came to make it I just didn’t want to. But I also didn’t want to go out and get dinner or figure out something else to make. 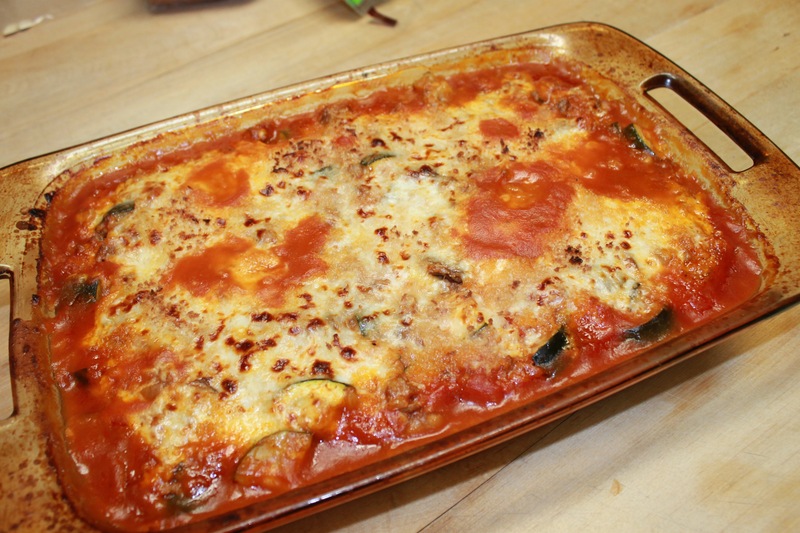 So I came up with a Stuffed Zucchini Casserole! HUGE HIT! Like a HUGE one. I’ll never make traditional stuffed zucchini again actually. Yes, I still cooked the rice by itself and added it before baking but this is SO much easier! Garlic (or garlic powder) to taste. I use 4-5 cloves, but we LOVE garlic! Brown meat and drain, if needed. 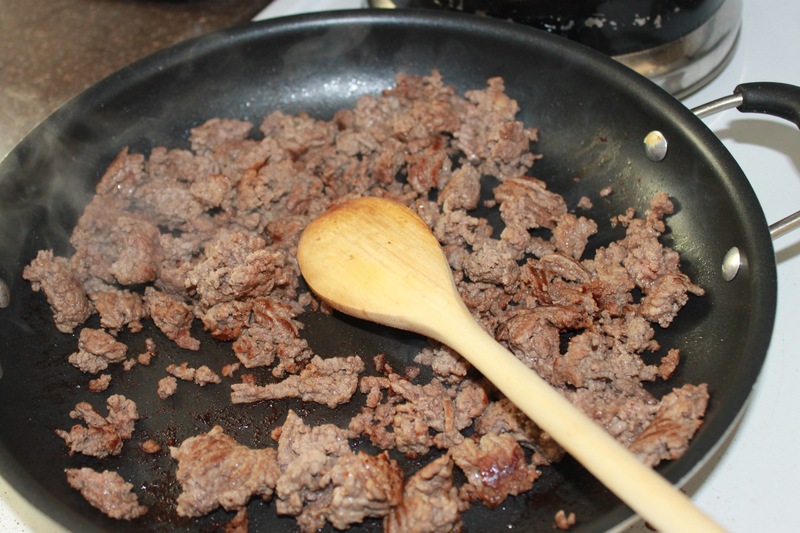 I tend to use lean ground beef so there isn’t much fat to drain so I rarely do. 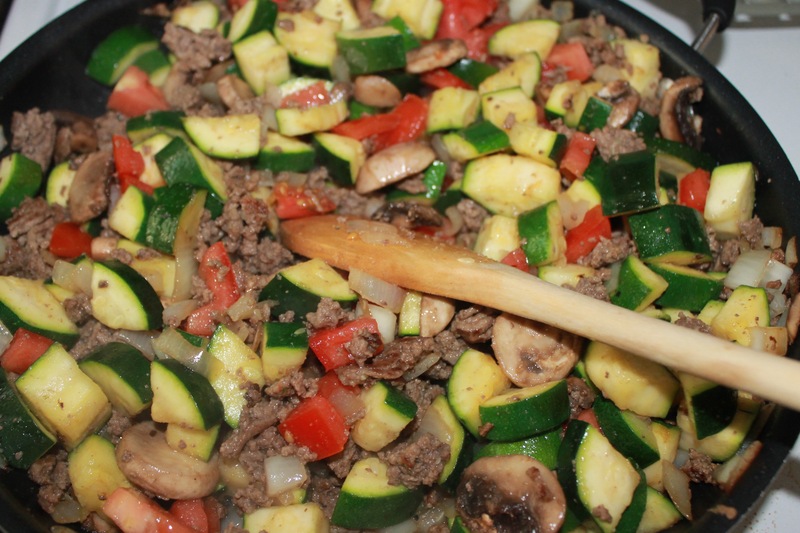 Add zucchini, mushrooms, onion and garlic. 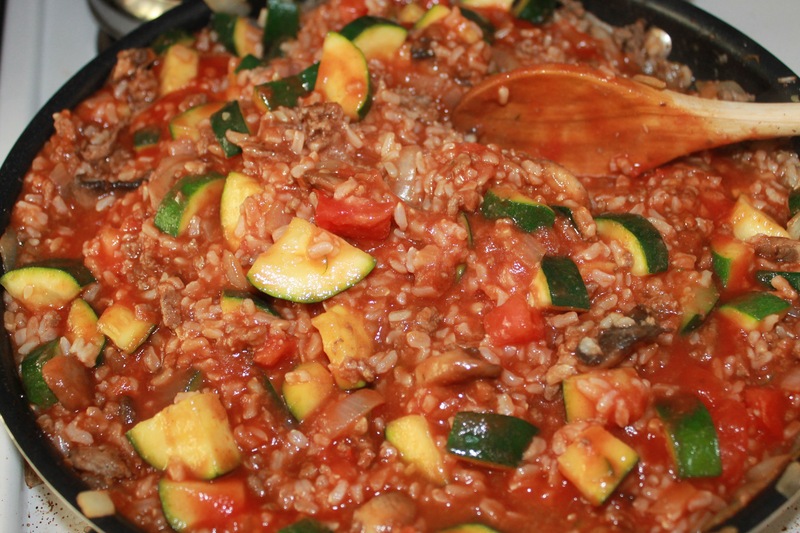 Cook for about 8-10 minutes until zucchini starts to soften. Add the diced tomatoes and cook for another minute or two. Mix in cooked rice and tomato sauce. Stir well to combine. Place in a prepared 9×13 baking dish. Top with cheese and bread crumbs. Finish under the broiler for browned cheese and breadcrumbs! 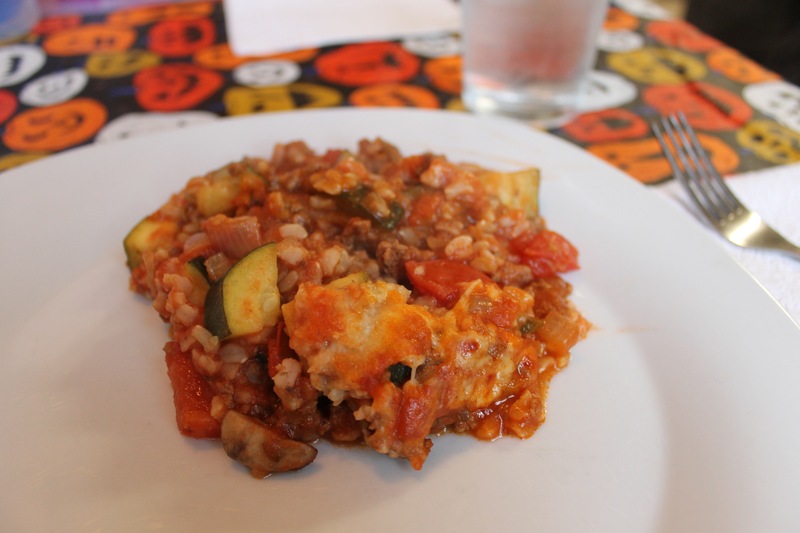 Easy and tasty – and something every member of my family will eat! 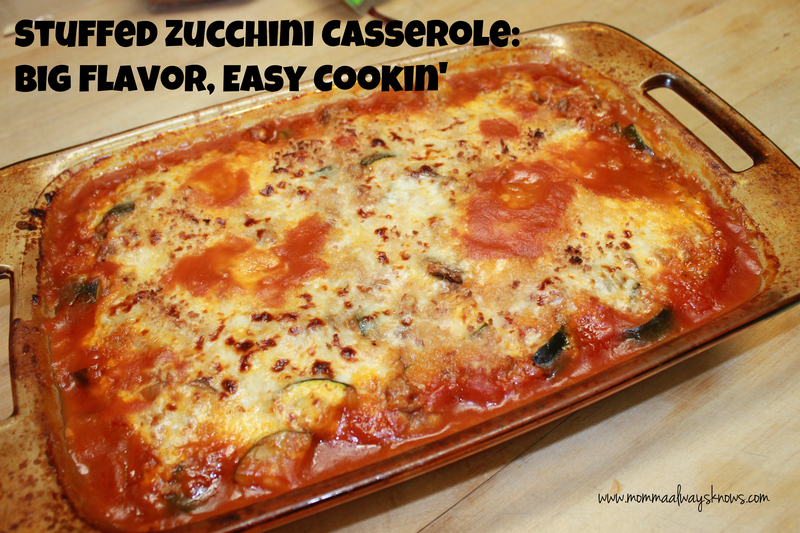 In fact, my husband has asked that I totally ditch Stuffed Zucchini and only make this casserole from now on. Works for me!